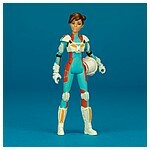 A daring pilot at the Colossus station with a sense of flair and competitiveness, Torra Doza has the combined energy of a hotshot ace and a fifteen-year old. 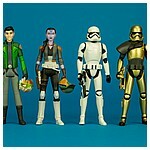 The first wave of single carded action figures in Hasbro's Resistance branded Star Wars Universe 3.75-inch collection was revealed at a special event held in New York City on October 4, 2018. 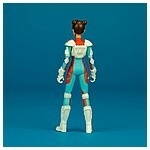 The assortment included the Torra Doza figure featured on this page began hitting shelves in December 2018 along with Kaz Xiono, Synara San, a First Order Stormtrooper, Commander Pyre, and Major Vonreg. 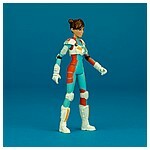 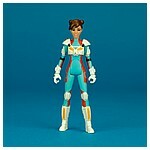 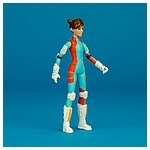 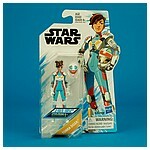 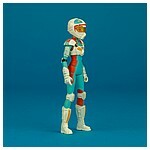 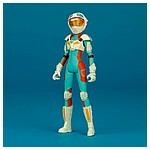 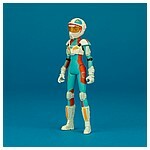 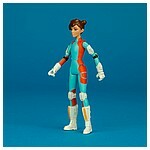 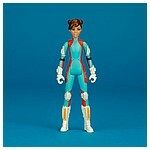 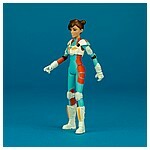 The Torra Doza figure comes packed with a switch out helmeted head. 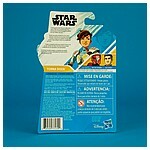 It is the only figure in first wave of single carded figures to include this sort of accessory.